Our 5-day inside afrika tours, travel and trekking packages, which specifically include 2 nights in Serengeti National Park, have been designed to offer you more time in the Serengeti to witness the wildebeest migration. You will experience the excitement of game viewing in some of the most spectacular national wildlife game parks in Africa. The tour will further take you to the Serengeti National Park, into the heart of wild Africa, a massive wilderness of 14500 square km, where every day brings a new landscape and a new adventure. You will visit the Lake Manyara National Park, one of Tanzania’s most dramatically located wildlife areas, consisting of a shallow but huge soda lake, at the foot of the Great Rift Valley’s western escarpment. Kindly contact our Reservations for any inquiries or to make a booking. Depart Arusha after lunch and proceed to Lake Manyara. Enjoy afternoon game drive in the park. Lake Manyara Serena lodge for dinner & overnight. Depart after breakfast for Tarangire National Park, picnic lunch enroute at Lake Manyara. Arrive Tarangire National Park in the afternoon for a game drive. Dinner & overnight lodge in Tarangire. Day 5; Tarangire National Park. 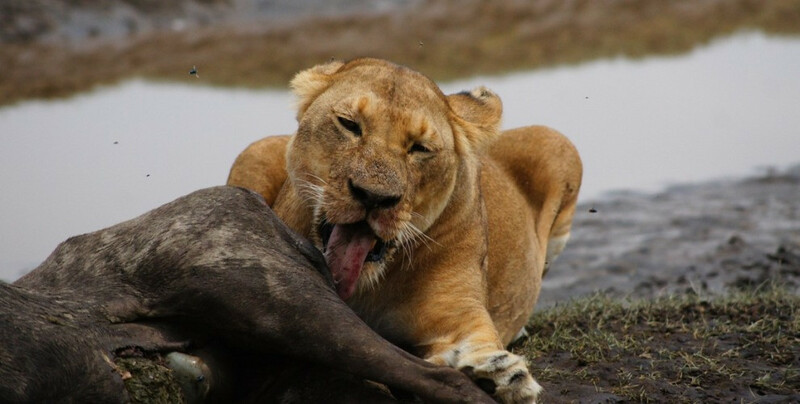 Enjoy a morning game drive in Tarangire park after breakfast, hot lunch at the lodge. Afternoon game drive, back to lodge for dinner & overnight. Back to Arusha after breakfast. Picnic lunch on the way.